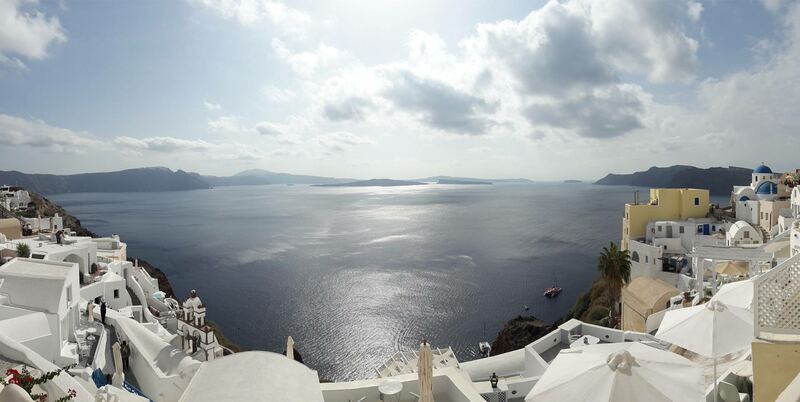 Greece, birthplace of timeless gods, goddesses and heroes. This small country is the fount of Western civilization, the culture that launched our modern world, the culture that civilized us through Democracy, the Arts and Philosophy. Ancient Greeks aspired to live by civilized values, sought divinity from their gods, yet embraced their human passions and emotions in pursuit of noble ideals - creativity, dignity and progress. These values endure today and are our gift to the world. We invite you to celebrate our unique Greek heritage with us, and to be a part of our project to bring back the shine to our country. Our heartfelt thanks to you journalists and media all over the world for your enthusiasm and support, and for sharing our passion for Respect Greece. For further news and advance updates, contact us here. Every cent helps. We're asking you for whatever you can spare, from $1 upwards, to contribute to our unique project. Get our products related to the Respect Greece. Calling Greeks, Greek Cypriots and Greek expats all over the world. 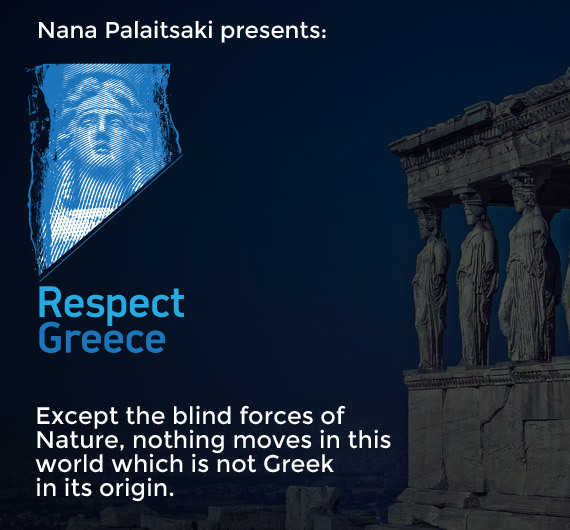 Would you like to be part of our project to Respect Greece?